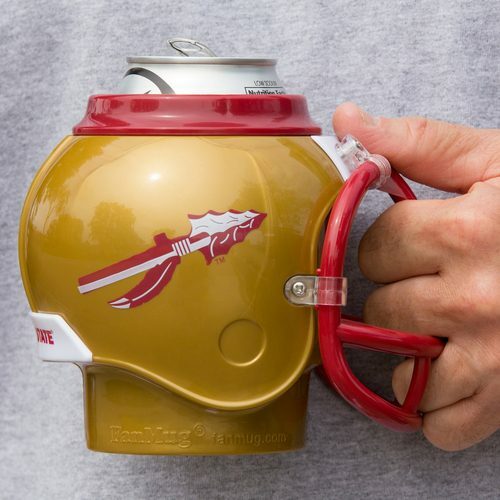 We tailgaters love to show our support and spirit for our favorite teams outside the stadium in the parking lot just as much as we show it inside the stadium. 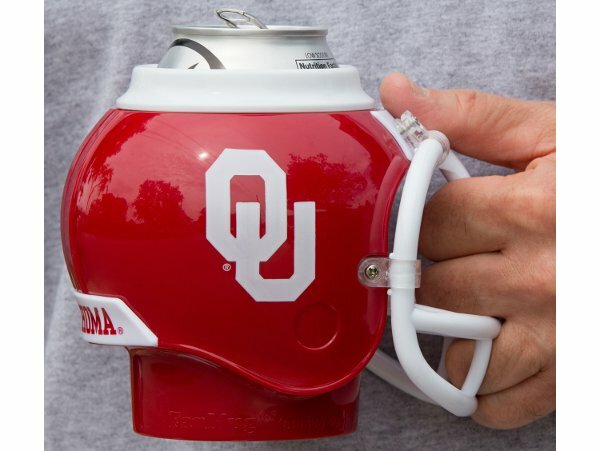 Seeing how a fair share of beverage consumption occurs outside the stadium in the parking lots, you want to set yourself apart from your run of the mill tailgaters. 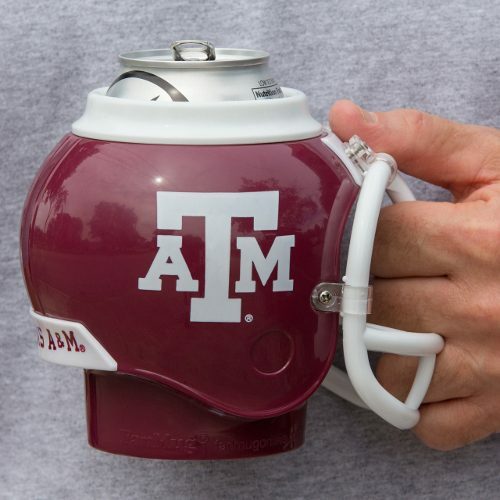 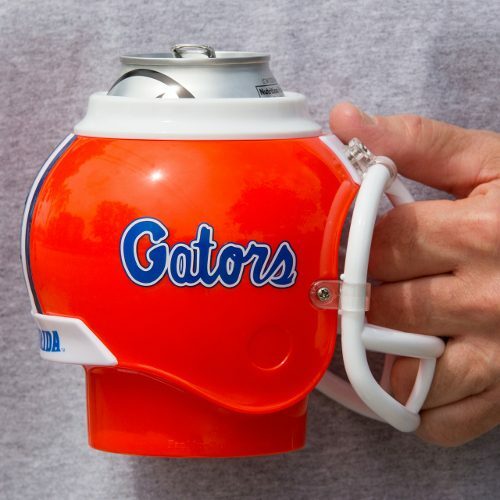 Now you don’t have to be painted into a corner with showing your love of your team with just a regular old can koozie. 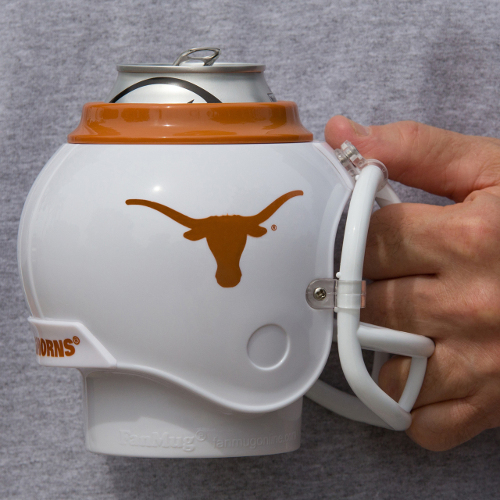 Try a FanMug on for size. 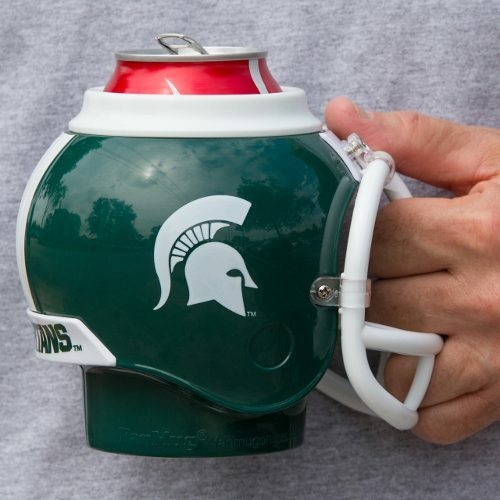 As you can see by the photos, the FanMug is an authentic, miniature replica of your favorite football team’s helmet. The face mask is the handle and the 13.5 oz removable cup is dishwasher safe and BPA-free. 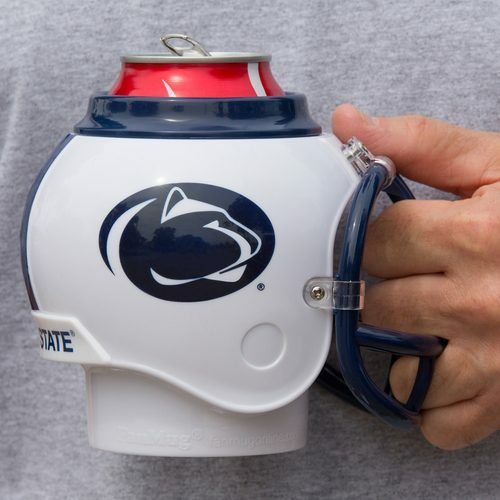 You can place your can or bottle in the removable cup to use it as a koozie or you can pour your cold or hot drink directly into the cup for use as an insulated mug. 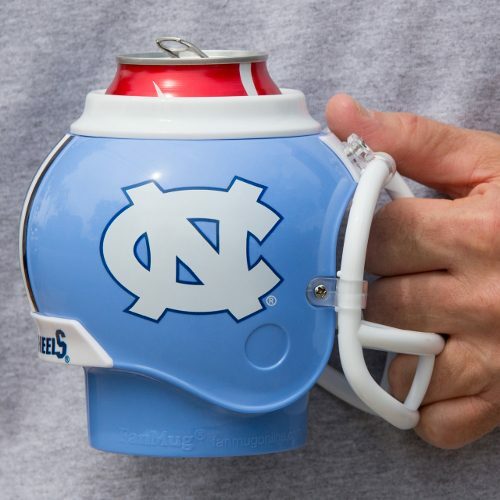 You can even use it as a desk caddy to hold your office items while showing your team spirit. 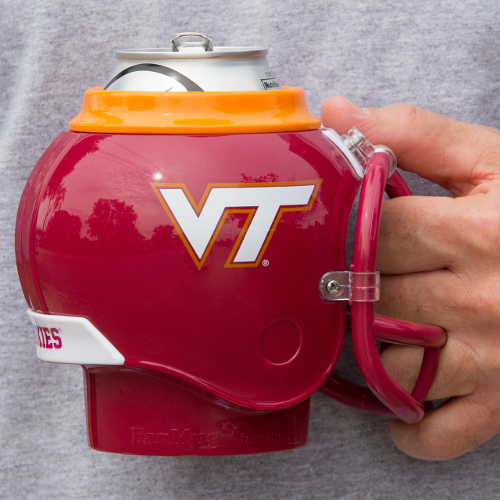 The attention to detail and the craftsmanship of the FanMug is unmatched. 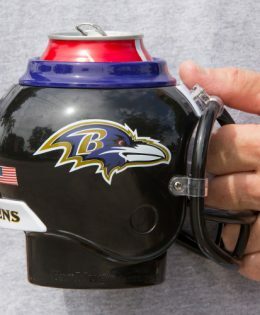 The facemask clips and the screws are authentic and just smaller than those you would find on an authentic NFL or NCAA helmet. FanMug keeps beverages colder longer than if you just were holding it in your hand. 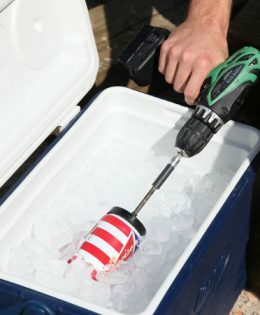 The fact that your hand is removed from the can and prevents that body heat transfer makes it a tremendous insulator. 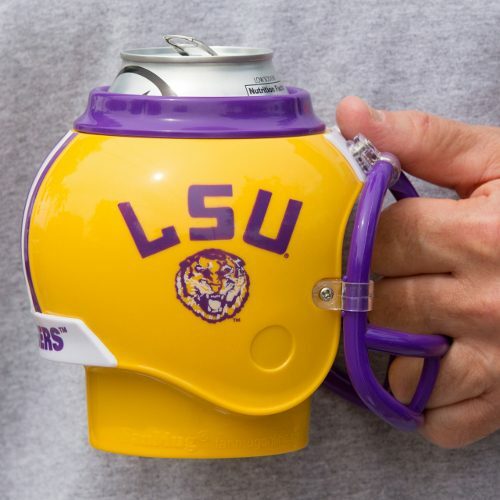 The types of beverages it can hold varies from cans to bottles. 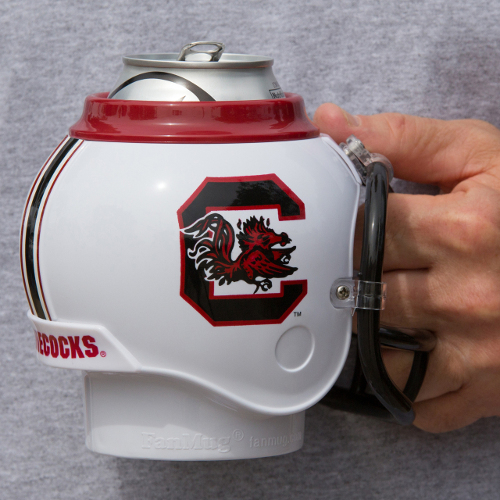 Standard 12 oz. 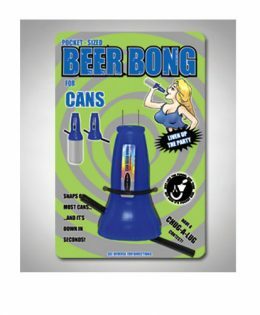 cans fit well and slide in and out of the inner cup easily but do not rattle around. 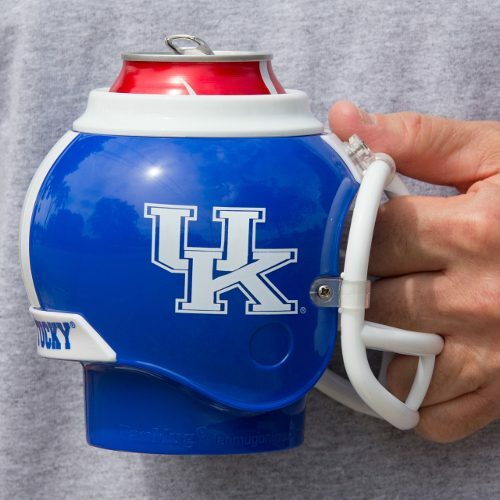 You can even pour your can or bottle into the inner cup of the FanMug or even use it for some Irish coffee or a rum and cola. 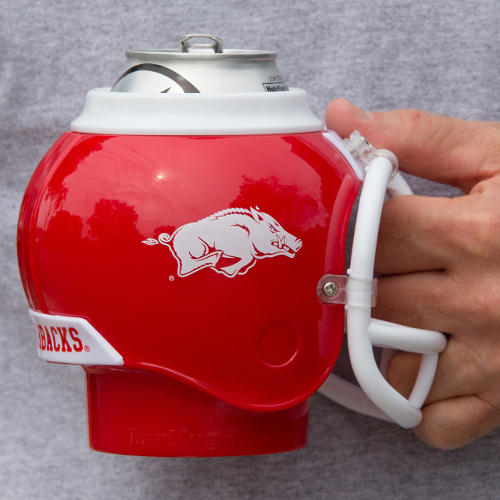 When not tailgating you can use it for your morning coffee or on your desk as a pencil holder. 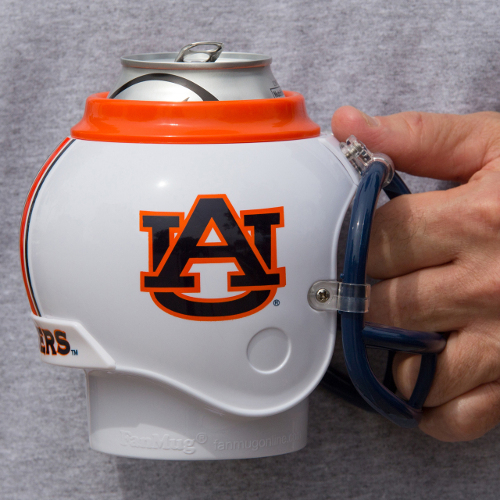 The FanMug comes all in one piece but can be separated into two pieces. 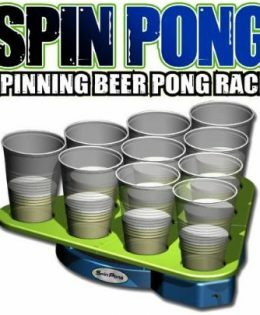 The inner cup comes out and can be washed in the top rack of the dishwasher. 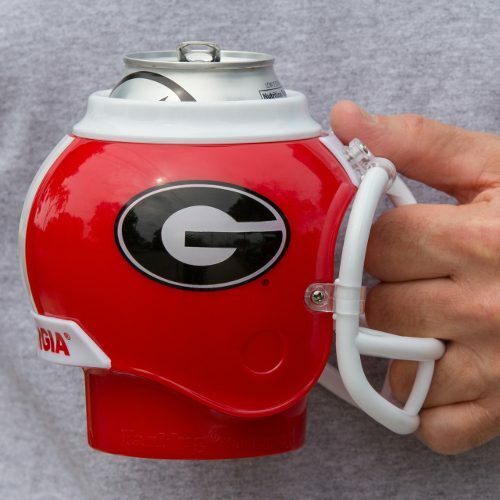 It is also BPA free and is made from food grade plastic so you don’t have to worry about health hazards if you choose to pour your drink into it and drink directly from the FanMug. 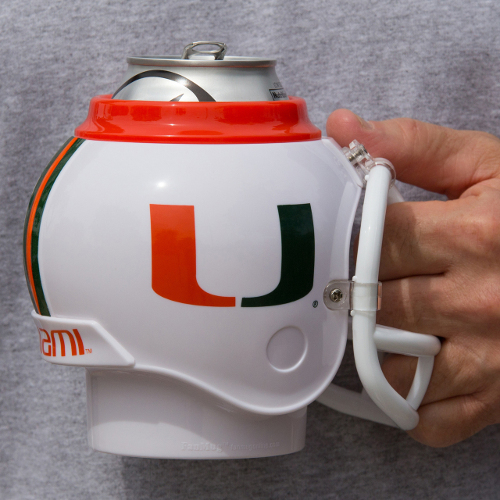 The inner cup is also microwave safe so if your coffee gets cold at home or at the office, pop out the inner cup and zap it to warm it up and place it back in the helmet.